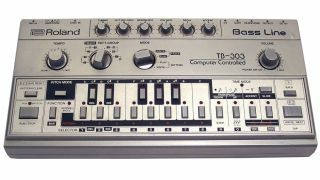 Synths such as Roland's TB-303 can give you great bass sounds, but you still need to get your groove on. A great bassline is a combination of two things: an awesome bass sound, and an infectious, booty-shaking groove. You can improve your chops with regard to the first of these by checking out our 11 ways to create better bass sounds; and here we're going to feed you ten bite-sized chunks of advice designed to make you think again about the way you approach piecing together your bass parts. Quantise can be very useful for tidying up recordings or locking a bassline to the grid, but don't be a slave to it. Some basslines will benefit from being left 'as is', while others are better 'creatively quantised' using the groove template features of your DAW. Don't forget the good old swing function, either. For creating smooth basslines, with the pitch of one note sliding nicely into the next, your synth's portamento control (also known as glide) is your friend. Engaging it should give you the desired effect, and it can work wonders on electric, acoustic and synthesised basslines. Don't feel like you have to use it throughout the whole track, though - it can have more impact when dropped in at opportune moments using automation. The relationship between your kick drum and bass will be instrumental in the success of most tracks, and it's something best nailed down early in the production process. This is most likely going to be your track's 'engine room', as it were, and getting it right will give you a solid base on which to build the rest of your tune. There are loads of sample libraries on the market that enable you to add 'extraneous' bass-playing sounds (picks, string squeaks, scratches, etc) to your parts, but if you don't have a suitable plugin, there's nothing to stop you doing it manually instead. Layering up samples of such sounds on certain notes can be great for accenting them - simply place them on a new audio track and adjust the volume to taste. They say that imitation is the sincerest form of flattery, so if you have a bassline in mind that you want the one you're working on to sound like, why not try emulating it first to get a feel for its groove and musical structure? Once you've done this, you might find that you can come up with the bassline you've been looking for just by moving a few notes around in your MIDI editor. Outright plagiarism is probably best avoided, though. There may be occasions when you want a bassline to mimic another part of the arrangement housing it exactly in order to emphasise it. In these cases, there's no need to record the bassline from scratch: simply copy the MIDI data from the existing track to your bass. You may need to drop it down an octave or two, but doing this should save you some time. Deep basslines are crucial to some genres, but it can be hard to hear whether or not the one you're creating actually fits with the rest of the track when it's pitched down so low. If you're wrestling with this problem, try pitching your bass patch up a few octaves temporarily, just to make sure you're in the right key. Similarly, you can actually go so far as to replace a few MIDI-triggered bass notes in a phrase with real ones from a recorded bassline. Chop them up and drop them in where they work best, but don't forget to use short fades at the ends of these notes to avoid clicks. Don't underestimate the usefulness of gating. Try applying a gate to an unruly bassline and feeding your kick drum channel into its sidechain input. This will ensure that your bass notes and kicks trigger simultaneously for a punchy, tight, clubby sound. Your bassline will often follow the root notes of the chords being played by other instruments, but experimenting with other notes can have real benefits. The whole flavour of a song can be transformed if you change the bass notes to others that harmonise with your chords.